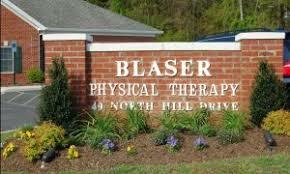 Here are videos Herbst Marketing has created for Blaser Physical Therapy in Warrenton, Virginia. Slideshow style video using photos provided by client. We hired a professional voiceover artist to provide the voiceover. Our video artist, Erin Herbst, selected the music and performed all post-production video editing. Blaser Physical Therapy introduced a new therapeutic modality, dry needling, into their practice in early 2015. In this video, we had the same professional voiceover artist read the script provided by the client. We also interviewed two of Blaser Physical Therapy’s staff members, who provided an overview of dry needling therapy and its benefits. Testimonial videos like this provide powerful social proof that can convert more website visitors into patients. In this video, a Blaser Physical Therapy patient shares her experience with Blaser Physical Therapy and provides a powerful and favorable testimonial for Blaser Physical Therapy.